TWS Weekly Wednesday Writing Challenge! "One look at his closet old me all I needed to know..."
Remember you can write in any style or format. When you are finished cut and paste your 10 min piece in the comment thread below OR put a link to your own blog or area where you write online. 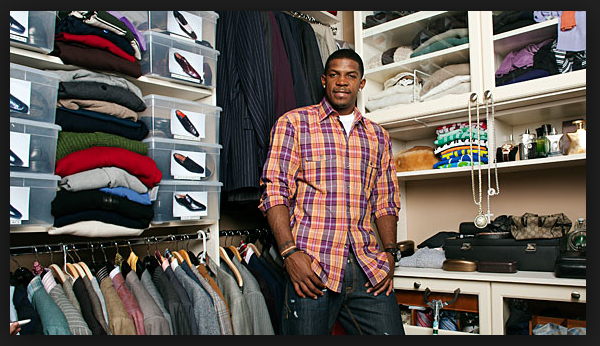 One look at his closet told me all I needed to know. The skeletons, for one thing; those would have to go. The serial killer look had been done – well – to death, and I wouldn't be seen... with a man who... Well. They had to go. The fact that they were skeletons and not more meat-y probably meant that they'd been here some time. That could be a good thing. It had been a long time ago. A moment of... serial madness. We all make mistakes – goodness knows I did! – but people can change! He can change. The meat thing would make it easier to dispose of them too. Less gooey. And with them out of the closet, weighted down with rocks and dumped off Wells Point, we can put the past behind us, and start to focus on what really matters: us. One look at his closet told me all I needed to know about him. Not that there was much to see since it was no bigger than 2 x 4 feet and barely 6 feet high. Just enough room for a few pairs of pants, about 5 long-sleeved oxford shirts in muted colors, 1 pair of faded red sneakers frayed with holes, and one pair of scuffed brown penny loafers missing their lucky pennies. On the meager shelf he had a small pile of once-white undershirts and underwear that looked mostly whole, just barely serviceable. On the floor he had a shoe box filled with a supply of mostly black trouser socks threadbare in spots. The thing was that everything was freshly laundered, neatly arranged, organized according to color and obviously showing he took pride in what little he had. There was only one thing that looked out of place. It was a barely worn expensive black mohair overcoat – thick-layered, expertly sewn with square marbled horn buttons and not a speck of lint or pills because you could see he regularly brushed it. He came into the room just as I was closing the door, looked at me in embarrassment but with a bit of outrage. Then, he carefully put down the tray with the sweetened tea and asked me a question I knew I couldn’t answer. The darkness couldn’t hide the claw marks, the dribbles of dried blood, the fine tracery of cracks radiating outward from impact prints, the dank moldy funk of despair. At least he died with his boots on, as he always said he wanted to: he could never have imagined it would be in such terror. And such a tiny space. Fighting an enemy within and within. Alone and slowly. Having soiled himself repeatedly. Battle never has been pretty, but this — humiliated, howling, pleading, clawing, bleeding, begging; cursing gods and man, himself and his personal, individualized, psyche-specific, history-charged, knowledgable, shadowy, unrelenting, filthy, action-tainted, godless, accursed, grade-A, hellish, fetid, inescapable demons, and finally giving up, defeated — was too much. One look at his closet told me all I needed to know. My father hadn't removed any of my mother's clothes, any of her shoes, her jewelry box still sat next to his watch box, the oak doors gently closed. Freshly dusted. This is the greatest grief; to be still left in the world when the one you loved has left long ago. I sink back against the fabric of her dresses, the lingering scent of her perfume just barely there. An undertone. Flowers that were fresh three days ago. I slip through and hit the wall behind, sink to the floor and lean against the wicker hamspter, so that my face is not reflected in the floor-length mirror that hangs on the door. Her shoes press uncomfortably into my legs, into the small of my back. I am eye level with her hemlines, just as I was as a child. She would curl my hair here, before church, perched on a tiny stool, I would sit and she would flutter around me with taffeta ribbons and the heat of the curling iron pressed close to the nape of my neck, close enough to make me dizzy.